Car Bodywork Repairs Reading at The Car Accident Repair Centre Reading Berkshire We have many years experience Repairing Car Body accident Dent Repairs and major car Bodywork Repairs, we can repair the smallest dents to major car accident repairs in our in house workshop including Mechanical Repairs so there is no need to use more than one Garage for all your Car body Repair Needs, we are a One stop shop for all Car Accident Repairs, Car Mots, And General Car Repairs including car servicing are all carried out here at the Car bodywork repairs reading accident repair and Service Centre. We take on insurance car body work reading including private car and commercial vehicle repairs for our customers that do not want to go through their insurance avoiding loosing their no claims bonus, car insurance is expensive so we fully understand you going down this route and are very happy to help where we can, we also undertake restoration work on vintage and modern cars. BodyWork Repairs Reading: The best Reading Automotive Car And Commercial Car Body Repair Centre in Reading Berkshire. Our company repairs several kinds of vehicles including classic cars, luxury cars, sport cars and many more. We welcome you as our customer to see how our commitment to success makes us the best and most reliable body shop in Reading and the surrounding region that you can trust with your sport, classic, luxury or even family vehicle. 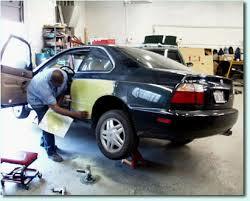 With our company you will find a discrete and cost effective solution to your Car Bodywork Repair reading problems. Starting from the showroom standard light refinishing is set, all through to the restoration of full body. 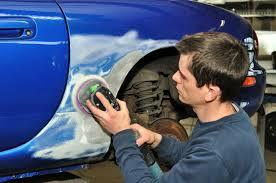 We undertake the highest detailed vehicles body repairs. Our company has been in this business for a number of years and due to that it has earned a lot of working experience on remedial improvements and damage accidents. BodyWork Repairs Reading team is skilled and well trained on the use on bodywork materials, just from steel and glass fibre all through the aluminium and even the exotic materials like Kevlar and carbon fibre. Car BodyWork Repairs Reading is a focused team with highly skilled and well trained professionals who have a lot of experience on bodywork. We have staffs who are highly motivated with years of experience and good skills on vehicles’ glass removal, refinishing, refitting, and dismantling of most valuable vehicles for repair and large scale hand panel beating and metal shaping. Our company use the current water-borne paint which is environmental friendly, materials & processes to ensure the best practice approach where is workable. Our aim is to go beyond expectations and this is through continuous improvement of our processes. We apply both the traditional and modern skills where necessary till we achieve the excellent results desired. In addition, our company is also capable of offering insurance claims assistance, alternatives on part options and even advice on appropriate repair answers. Our customers’ care desk and technicians within the company are always friendly when they speak to any kind of client that is they usually use clear kind of language when explain the technical processes. * Restoration of neglected original paintwork until it gains its former glory is what we do. On this we use the current refurbishment techniques and polishes. * Our collection and delivery have extended to most parts of the world including Europe, America and many other continents. * The detail vehicle restoring and refurbishing is what we enjoy doing at all time. * We do repairing of both minor accident scrapes and major rebuilds. We saw that at this time we need a mobile BodyWork Repairs Reading and this idea came up when the number of people seeking services from our company went up. These mobile services are done beyond the region. Our company is the best company you can rely upon because we offer fast services with experienced experts on that sector. We do remove hassles and also eliminate costly mistakes in our services. We are not afraid to cover all surrounding areas because we have many years in this business and to add on that we are fully insured. Here at BodyWork Repairs Reading we pride ourselves on providing you with excellent vehicle body repairs by technicians you can trust and believe in at an affordable cost in the region. As we have told you earlier we take real pride in our work and in the personal relationships we build with our clients.